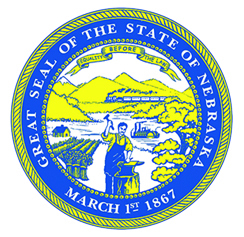 The Nebraska Cultural Endowment is a 501(c)(3) corporation that was created to raise funds and invest them in response to an endowment created by the Nebraska legislature to support the work of Humanities Nebraska and the Nebraska Arts Council. The two agencies cannot access the state fund unless earnings are matched with private dollars raised by the Nebraska Cultural Endowment. Working in collaboration with the board of directors, the executive director is responsible for raising money for the organization’s endowment primarily through direct and indirect solicitation of cash or deferred gifts from individuals, corporations and foundations. Additional duties include office management, coordination of board and committee meetings and oversight of investment portfolio. Other activities include collaborating with Humanities Nebraska and the Nebraska Arts Council in working with the state legislature and contracted services to educate and advocate for the matching fund with the State of Nebraska. Application deadline: A September 1, 2017 closing date is desired, however the search will remain open if the right candidate is not identified by that time. The Nebraska Cultural Endowment is a 501(c)(3) corporation created to raise funds and invest them for the sole purpose of supporting the programs of Humanities Nebraska and the Nebraska Arts Council. The Executive Director is employed by the Board of Directors of the Corporation (“the Board”) and is responsible to the Board. The immediate supervisor of the Executive Director is the President of the Board.